Yes, Virginia, there is a governor's race in Kentucky this year. I know sightings of the Jolly Olde Elf are more common right now than candidates ( unless they have captured your email address and are filling your inbox with "asks" for campaign donations). 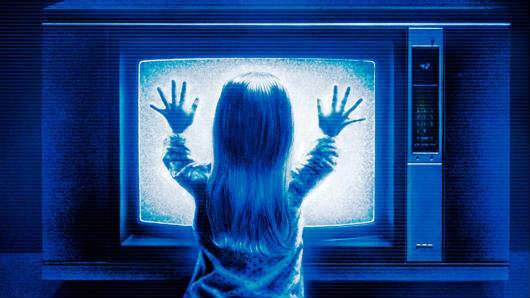 Like the sun coming up tomorrow for Annie the Orphan, the polls across Kentucky will open bright and early on May 21st for Republican and Democratic primaries. They will open again on November 5th for the general election. And yes there is a reason for Republicans to vote in the primary this year. Governor Bevin has an opponent, though he is running very, very quietly. If one goes by past elections, predicting whether our fictional Virginia votes in the May primary and again in November will have a great deal to do with her education, location, age and gender. Because Governor Bevin, shown at left at a town hall meeting in Murray last summer, is not officially campaigning but using a series of town hall meetings as his vector for reelection, we shall put aside any opinion or analysis of the Republican governor's primary. 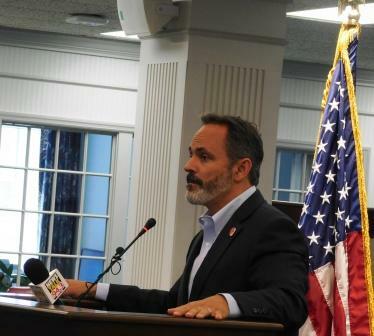 It is not hard to predict that unless something viler than Bevin's disdain for public education or his exposing his children to a preventable communicable disease surfaces, the Governor is guaranteed to be on the ballot in November. In 2015, turnout among 17-24 year olds was 4.4%, among 25-34 was 5.2%, 35-49 year olds 9.8%, 50-61 year olds 15.6%, and 62 and older was 22.1%. Men turned out 13% -12.1% for women. In the last Republican primary, with no incumbent, Matt Bevin prevailed over his rivals with 70,480 votes. Republican voters stayed home in May 2015. Of 1.2 million registered Republicans, 214,193 voted. That's a 17% turned out. 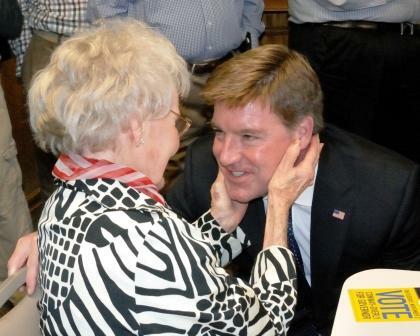 In the Democratic 2015 primary, candidate Jack Conway fared even worse. Of 1.6 million registered Democrats, 178,541 voted. Conway had little opposition (which might have contributed to many Democrats staying home). He overwhelmed his opponent by over 100,000 votes but that accounted for only 10.6% of registered Democrats voting. While Conway, shown at right, won his race handily, Democrats seemed less enthused for their candidate than Republicans. The hotly contested primary, th e newness and change atmosphere of a potential Republican takeover of the governor's office preceded the election of Donald Trump. People in Kentucky were tired of the status quo and hungered for the new and unfamiliar. Four years later, the same proportion of voters may work on the other side of the aisle. Bevin's inevitability of capturing the GOP top spot most likely could keep Republican voters home. There are only two down ballot Republican races without an incumbent - attorney general and secretary of state. Both are seats being vacated by Democrats. Unless candidates in down ballot races have budgets to push turnout, candidates will have to rely on name recognition, a strong base in their home areas and minimal advertising. At this writing, there is little focus on the May 21st primary. One candidate, Adam Edelen, has released a television ad. Rocky Adkins has been busy in the General Assembly trying unsuccessfully to hold back a tide of Republican legislation. Attorney General Andy Beshear continues to tout his legal battles with Governor Bevin. All candidates in the Democratic primary, while venturing out into rural areas, are concentrating their appearances in population centers of the Golden Triangle. That makes sense when it takes as much work to get ten votes in a rural county as it does to get 100 in Louisville or Lexington. Until the General Assembly finally gavels out and spring break at schools throughout the Commonwealth are over, don't expect a campaign blitz by any candidate for governor. KET has announced during Renee Shaw's Kentucky Tonight at 8:00 p.m. eastern and 7:00 pm central candidate debates. Watch for Republican governor candidates on May 6th and Democratic gubernatorial candidates on May 13th. Mark your calendars for May 21st and November 5th. 2019 is the year in Kentucky that every vote will make a difference.